Data Wiper Software enables you to wipe entire or selected data from your computer hard disk drive and USB removable media. 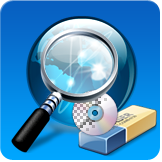 Disk wiping program permanently cleans unused hard disk space, temporary files, recent files and other data. Website monitoring tool monitors multiple website performance in real time. Website monitoring program monitors checks uptime, downtime and ping status of web sites. When your website is detected inaccessible or responds excessively slow, the monitoring software will immediately send email alert to you about the non-availability of the particular website.